You may like the look of a nose stud but don't want to go through the hassle of actually getting your nose pierced. 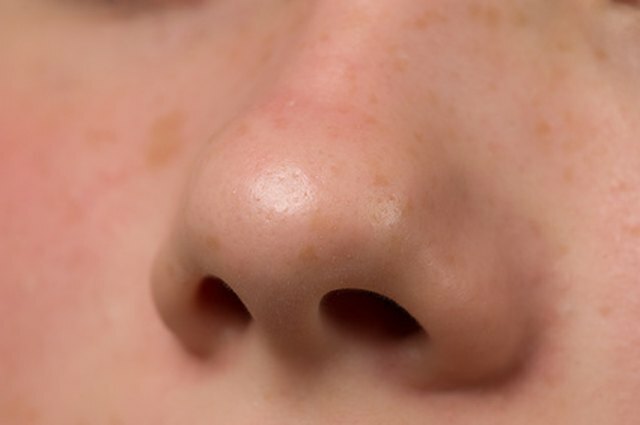 Create some fake nose studs that look like the real thing, without the pain and hassle. 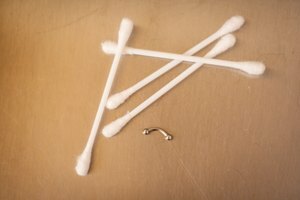 You'll also be able to change your stud right away instead of waiting weeks before taking out a traditional nose stud. Take a trip to your local craft store and browse around for embellishments you might want on your nose. Choose a flat-back, small metal piece like a rhinestone, round stud or other type of flat-back embellishment. Apply eyelash glue or spirit gum to the back of the stud. Place the stud onto your nose and hold into place for about a minute. Remove your hand and show off your new nose ring. Attach a piece of clear double-sided medical tape to the back of the embellishment. Trim the edges of the tape around the stud. Place the stud onto a piece of wax paper and repeat with any other embellishments you want. When you want to put the stud onto your nose, just push it firmly into the skin.